This book, comprised of lectures given by Adorno towards the end of his life, provides an invaluable introduction to his historical and conceptual engagement with sociology. In these lectures we find a somewhat different Adorno from the author of the densely–wrought texts published in his lifetime. Here we can follow his thought in the process of formation, endowed with the spontaneity and energy of the spoken word. These lectures were held at the time of the ′positivist dispute′ in German sociology, when Adorno was defending the position of the Frankfurt School against criticism from mainstream positivist sociologists. Adorno sets out a conception of sociology as a discipline going beyond the compilation and interpretation of empirical facts, its truth being inseparable from the essential structure of society itself. Sociology, therefore, is not seen as one academic field among others, but as an over–arching discipline impinging on all aspects of social life. 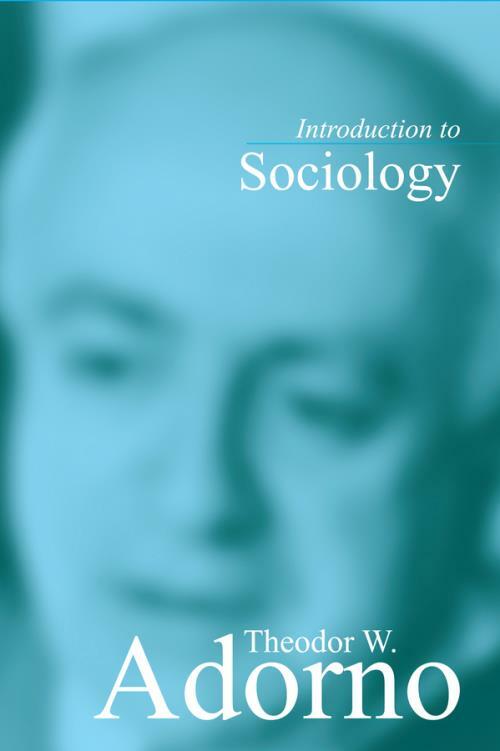 Adorno covers topics ranging from the purpose of studying sociology to the place of sociology in relation to other sciences, as he traces the history of the discipline and emphasizes that the historical context is constitutive of sociology itself. This volume will be of great interest to scholars, graduate students and advanced undergraduates in sociology and social theory, literature and literary theory, philosophy and cultural studies.